If you’re ever offered something for nothing, you might think that it is too good to be true or that there must be a catch. That’s usually a good rule of thumb to follow, but while it can pay to be sceptical in life, that doesn’t mean you should ignore the possible advantages of a giveaway. This is definitely the case when it comes to Free Bets. So what exactly are Free Bets? Put simply, a free bet is a bet that costs you nothing. If your free bet wins, then the winnings are converted to cash and you can withdraw and use the profits, just as if you’d placed the bet using your own money. Free bets are most commonly used as a form of welcome offer to attract new customers, though as you will read later in this piece, some Free Bets are made available to existing customers. 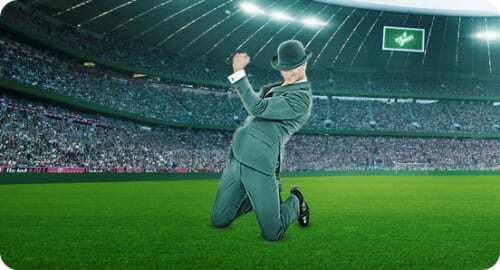 The sports betting industry is particularly competitive these days, and Free Bets are one of the ways in which bookmakers compete for new customers. 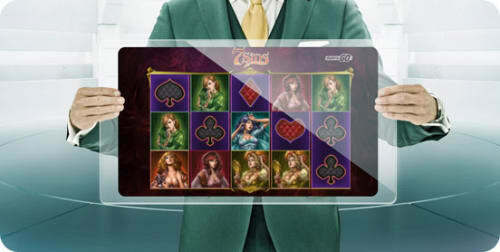 Play free bets at Mr Green Casino! There is a bewildering array of Free Bets available and it can be difficult to weigh up which Free Bet is right for you, but broadly speaking, there are four main types. This is by far the most common form of Free Bet and usually is offered only to new customers, although sometimes bookmakers will offer Free Bets to customers who have not used their account for a long period. When the customer opens an account and makes a deposit, the bookmaker will match that deposit with an identically-sized Free Bet. There will usually be a minimum and a maximum stake level for the Matched Free Bet, and it often relates to a specific event, such as a big Premier League game. The amount of the Free Bet initially appears in the customer’s account as a separate balance, but once it has been used, any winnings are added to the customer’s main balance. This is a rarer form of Free Bet, awarded to new customers simply for opening an account. The Free Bet is credited to the customer without their having to deposit any funds. As with the Matched Free Bet, these Free Bets are sometimes linked to a specific event, and there may be other conditions, such as a minimum time limit before any winnings from the Free Bet can be withdrawn. In most cases, this Free Bet will still apply even if you do make a deposit. The formatted Free Bet is not awarded when the customer opens an account or makes a deposit, but only when they have reached certain time-Iimited stages of betting. Typically at each stage, the customer is required to make a bet, which will be matched with an equally sized Free Bet, but the total Free Bet amount cannot be used until all the stages have been complete. Some bookmakers may require the customer to bet only on certain events, such as the Premier League, in order to gain the Free Bet, and there may be other conditions, such as the requirement to bet four or five times the amount of the original deposit. This kind of Free Bet is offered to new and existing customers who place a certain number or type of bet to qualify for the offer. The qualifying Free Bet is generally linked to something specific occurring in an event, for example, a certain player scoring a goal, or a certain horse winning a race by a specified distance. If a customer bets on these outcomes and they do not happen, then they receive a Qualifying Free Bet, which can be used in the same way as any Free Bet. Qualifying Free Bets are commonly linked to major sporting events. Bet at Mr Green Casino! So are Free Bets worth using?